If Liberation Tigers of Tamil Eelam(LTTE)leader Thiruvengadam Veluppillai Prabhakaran was alive now, he would be celebrating his 60th birth anniversary on November 26th.The tiger supremo who was killed in Mullaitheevu district on May 19th 2009 was for decades the determining force in Sri Lankan politics.Though Prabhakaran is no more, the Sri Lankan Tamil people are yet to recover fully from the ravages of the long war fought by the LTTE.A battered and shattered community is slowly struggling to pick up the pieces and resume a peaceful, normal life that was torn asunder by years of long conflict. The evolution and growth of the armed struggle for the goal of Tamil Eelam saw many Tamil militant groups emerge across the politico-military horizon. There was a time when nearly 34 outfits-big and small-existed.Among all these, the single organization that kept the Tamil armed struggle alive for decades was none other than the LTTE led by its autocratic numero uno Prabhakaran.From its de-jure birth on May 5th 1976 to its de-facto death on May 19th the LTTE under Prabhakaran fought on relentlessly towards its avowed objective of a separate Tamil state until the very last. 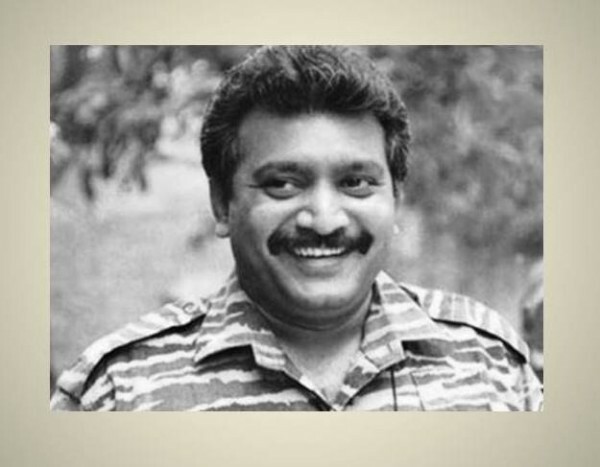 Prabhakaran who commenced his militant career with a single pistol had over the years built up the LTTE into a powerful movement running a shadow state and acquired the status of being a self-styled “Tamil national leader” (Thesiyath Thalaiver). When alive he was regarded as all powerful by his followers and supporters.He was once described by the LTTE’s political strategist, Anton Stanislaus Balasingham, as both “the president and prime minister of Tamil Eelam”. The ephemeral nature of power was illustrated vividly by the death of Prabhakaran who controlled what was perhaps the most powerful guerilla organization in the world and was raised to divine status as “Sooriyathevan” (Sun God) by his sycophantic followers. Despite being at the pinnacle of power for years, his inability or unwillingness to be flexible has resulted in Prabhakaran losing his movement, family and above all his life in a pathetic manner. The body of the 54 year old supreme leader of the Liberation Tigers of Tamil Eelam(LTTE) was found on Tuesday May 19th near the Mullaitheevu lagoon known as “Nanthikkadal” (sea of conches). What illustrated the poignant irony of the situation was the sight of his former deputy Muraleetharan alias “col” Karuna standing with army officers and looking down upon his former leader lying semi-naked in the sand. The demise of Prabhakaran and the defeat of the LTTE has opened up a new lease of life ushering in normalcy to the long suffering Tamil people. There are many problems to be resolved and obstacles to be surmounted. Nevertheless the dim glimmer prevalent at the end of the tunnel during the war is now a bright glitter after the war.This writer visiting Sri Lanka last year after an absence of 25 years was able to witness the renaissance of hope in the north.The sight of teen aged schoolchildren going to school happily instead of hiding at home to escape conscription at the hands of the tigers was a most welcome scene to this writer. It is against this backdrop that I am writing this week’s column on the life and times of Veluppillai Prabhakaran even as his sixtieth birth anniversary draws near.This article is neither a biography nor an eulogy. It is not even a critique or analysis. What I hope to do is to try and shed some light at least on the man and his personality without attempting to glorify him. Since I have written about him on previous occasions ,I shall be relying to a great extent on those writings. Thiruvengadam Veluppillai Prabhakaran was born on November 26th 1954. He was the youngest in a family of four children. There were two boys and two girls. One of his sisters is in Canada. The other two siblings are residents of Denmark. One of the two a sister has now relocated to India with her family while the brother and family remain in Scandinavia.His parents who lived in the northern mainland, Wanni, later surrendered to the armed forces and were placed under protective custody.His father was Veerasamy Thiruvengadam Velupillai. Prabhakaran’s mother’s name was Paarvathipillai. Her maiden name was also Velupillai. Both are no more now having died of natural causes. Prabhakaran’s family hailed from the Northern coastal town of Valvettithurai referred to generally as VVT. His father joined the Government clerical service and eventually became a district lands officer. I think he retired from Govt service when the late Gamini Dissanayake was Lands minister.Prabhakaran’s family was of respected lineage in VVT. They were known as belonging to the “Thirumeni kudumbam” or Thirumeni family. Prabhakaran’s ancestors constructed the famous Sivan temple of VVT. His father should have been the chief trustee but declined to be so as he was in govt service. The LTTE leader’s father was a duty conscientious mild-mannered gentleman well respected and well-liked. People of VVT used to say that even the grass wouldn’t get crushed when Mr. Velupillai treads on it. Later many comparisons were made about father and younger son. In fact the father disapproved of the son’s path and was not on speaking terms with Prabhakaran for many years. The name Prabhakaran denotes the Sun or Sooriyan. Later his acolytes began calling him “Sooriyathevan” or “Sun God”. Being the youngest in the family he was called “Thambi” or younger brother. This pet name continued to be in vogue when he entered militant ranks as he was then perhaps the youngest of all.Prabhakaran also adopted various names like Mani, Manivannan, Maniam and “Karikaalan”. It was the latter nom de guerre that he used mostly during the early days. Karikaalan refers to Thirumaavalavan of the Chola dynasty that flew the “Vengai” or Cheetah flag.Colleagues of an earlier vintage referred to him as “maniyathhar”. Contemporaries continued calling him “thamby”. In later years young tigers used to call him “Annai” or elder brother. After a while it became “Thalaiver” or leader. Formally it was “Thesiya thalaiver” or “national leader”. Colloquially he would be called “perisu” or the big one. Prabhakaran studied at different schools in Jaffna, Vavuniya and Batticaloa because his father was constantly transferred. The schools he studied for many years at a stretch were Government College (Now Mahajana) B’caloa and Chidampara College, VVT. He was not a model student and did not even complete his GCE O’levels.This does not mean that he was unintelligent or did not possess a thirst for knowledge. It was due to Prabhakaran being interested in other things rather than in formal education. He had a photogenic memory and was an avid reader. He was particularly fond of reading history-about historical battles and historical figures.Some of the famous historical figures he admired were Napoleon and Alexander. The Indian freedom struggle fascinated him. He read the Tamil version of Mahatma Gandhi’s autobiography “Satya Sodhanai” in his early teens but was not enamoured of it greatly. His ideal and idol was Netaji or Subash Chandra Bose. 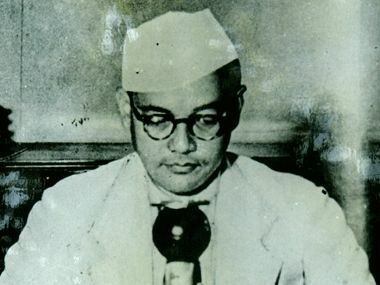 Netaji had ideological differences with the Mahatma about the mode of struggle for independence. At one stage he disapporoved of Gandhi’s “non-violence” and went on to form the Indian National Army (INA) to launch an armed struggle against the British.Subsequently Chandra Bose joined forces with the Germans and Japanese to fight the British. He died in a mysterious aeroplane accident. Netaji’s famous pronouncement was “I shall fight for the freedom of my land until I shed my last drop of blood”. Prabhakaran subscribed to these sentiments whole-heartedly. Apart from Netaji , Prabhakaran was also impressed by the Sikh freedom fighter Bhagat Singh who was sentenced to the gallows by the British rulers.Two freedom fighters from Tamil Nadu also made an impact on young Prabhakaran.One was Vaanchinaatha Iyer who shot the Tirunelvely district collector Ashe dead at the Maniaachchi railway station. When chased by the Police Vaanchinaathan shot himself. The other was Thiruppoor Kumaran who withstood heavy beating by the Police but would not let go of the Bharatmatha flag. He was hailed as “Kodi Kaatha Kumaran” (Kumaran who saved the flag). Hard as it may be for many to believe there was a quiet, spiritual aspect also to Prabhakaran. 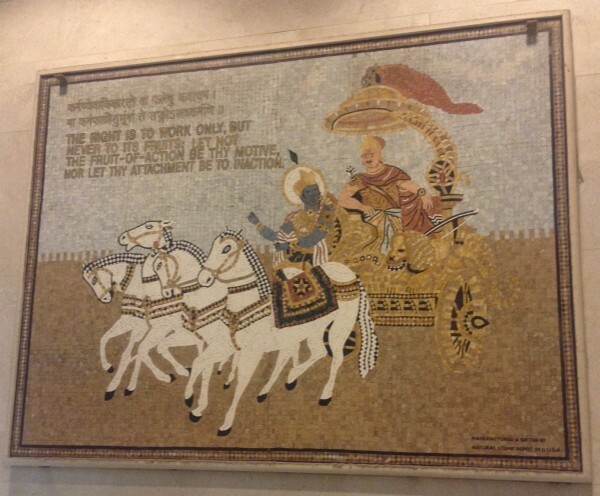 The “Ithihasam” (epic) Mahabharatham enthralled him. The characters he identified with were Bheema and Karna.Prabhakaran also read the Tamil translations of Swami Vivekananda’s writings and speeches avidly. Another spiritual person he looked up to was Thirumuga Kirupananda Vaariyaar popularly called “Vaariyaar”. It is the Mahabharatha that relates the tale of Lord Krishna advising the wavering Arjuna on the battlefield “Kurushetra”. The Pandavas and Gouravas (cousins) had assembled to do battle but Arjuna hesitates to fight against his kith and kin and lets slip his bow “Kaandeepam”.Lord Krishna then tenders advice to him that each person is destined to fulfill his or her duty. It was the warrior’s duty to kill his adversary regardless of kinship. Killing the “body” of the enemy was part of heroic valour. The essence of Lord Krishna’s lecture is the “Bhagavat Gita”. Prabhakaran was greatly enamoured of principles enunciated in the Bhagavat Gita. In the Tamil film “Karnan” based on the Mahabharatha Lord Krishna is played by NT Rama Rao and Arjuna by Mutturaman. The Gita episode is picturised as a song “Maranathai Enni Kalangidum Vijaya.” This was one of Prabhakaran’s favourite songs. It’s sung by Seerkali Govindarajan. One person who opined that Prabhakaran had inculcated the philosophy of the Gita was former Indian High Commissioner to Sri Lanka Jyotindra Nath Dixit. This was during the time when LTTE was fighting the Indian Army. I could see that Dixit meant it as a “compliment” when he said this.On an earlier occasion Dixit told me that of all the top Tamil militant leaders only Prabhakaran had “fire” in him. This was after Dixit met for the first time all leaders of the five big groups. Umamaheswaran-PLOTE, Sri Sabaratnam-TELO, Padmanabha-EPRLF, Balakumar-EROS and of course Prabhakaran-LTTE. I also recall a conversation in early 1985 with former national security minister Lalith Athulathmudali. Long before the Indo-Lanka accord of 1987, Athulathmudali predicted that all the Tamil groups will give up the struggle and fall in line. But not Prabhakaran, said Lalith then. “He will never compromise and will die fighting to the last” he said. How True! Prabhakaran was also fond of reading Tamil novels particularly those with a historical background. His favourite apparently was “Ponniyin Selvan” the magnum opus of “Kalki” (R. Krishnamoorthy). This is about Prince Arulmolivarman who evolved into the great Chola emperor Raja Raja Cholan.He also liked the historical novels of Akhilan and Chandilyan.“Venkayin Mainthan” and “Kayal Vizhi” by Akhilan and “Yavana Raani”, “Kadal Puraa” and “Jalatheepam” by Chandilyan were his favourites by these two. When the LTTE bought its first maritime vessel it was named “Kadal Puraa” (sea dove) after Chandilyan’s novel.Yet, the Tamil novel read again and again by Prabhakaran was “Kallukkul Eeram” (moisture in a stone) by RS Nallaperumaal. It is set against the backdrop of India’s freedom struggle against the British.The chief protagonist Rangamani is one who does not believe in Gandhi’s “ahimsa” mode of struggle and espouses violence as the appropriate method to liberate India. No wonder then that Praba loved this novel. But there is a change of heart in the end by the novel’s protagonist ,but for the real life protagonist there was no moisture in the stone. Prabhakaran was very much interested in contemporary affairs and international politics. A former comrade at arms of Prabhakaran, Thalayasingham Sivakumar alias Anton Master told me how the LTTE subscribed to “Time” and “Newsweek” those days. Praba would ask friends knowledgeable in English to translate and explain articles.In later years when the LTTE developed into a full-fledged outfit, important articles from magazines and newspapers were translated into Tamil for Prabakharan’s consumption. Also many books on military affairs and warfare were translated into Tamil. As a schoolboy, Prabhakaran like most youngsters of his age was fond of cycling and playing volley ball and soccer. But he was no sportsman and preferred to read or watch action films.He has been ridiculed often for telling an American journalist that he learnt his fighting techniques from Clint Eastwood movies. But what happened really was that the US scribe was pointedly questioning him whether he had been trained in Cuba. It was as a joke that Prabha responded citing the all-American Eastwood as his guru and not El Commandante Fidel Castro as implied by the American journo. Another pursuit in boyhood was the targeting of squirrels, lizards. Chameleons and small birds with a catapult. As a kid Praba would prowl about areas of dense vegetation searching for his quarry.His memory power was legendary. Prabhakaran would remember faces, names and the last time he had seen someone years ago. His eyes were always sharp and roving taking in the surrounding area and ever on the alert. His eyes were large and striking and was teased as “muliyan” (goggle-eye). Prabhakaran was also a “puritan” in many ways. He neither drank nor smoked and even advocated sexual abstinence for all in the early days of the movement. Order and cleanliness was almost an obsession. He was a stickler for discipline.He was always neatly dressed preferring “bush shirts” and short-sleeved shirts. The bush shirt was helpful as it covered hidden firearms. It is said that even during the early stages of militancy when there was an acute shortage of funds, Prabhakaran would wash and iron his few clothes regularly and always maintain a dapper appearance. He was a good cook and also fond of good food. He relished Chinese cuisine. Prabhakaran was also fond of Pittu, coconut sambol and Fried shrimp. He also liked Iguana and tortoise flesh. He liked fruits and natural bee’s honey.Usually LTTE cadres under punishment are assigned duties in the kitchen. Prabhakaran would encourage cadres to cook saying “only a good cook can be a good guerilla”. He would often cook or help out in the kitchen when at home. A close relative who visited him once was flummoxed to see the feared guerilla leader busily scraping coconuts in the kitchen. Prabhakaran’s attitude and political thinking was shaped by contemporary events and environment. The gruesome tales he heard as a four year old child about the 1958 anti-Tamil violence impacted greatly.One day Prabhakaran’s home had a woman visitor whose legs were scarred by burns. Upon inquiring the little boy was told that the woman’s home had been set on fire by a “Sinhala” mob. She had escaped with burns.Young Praba also heard the infamous story of the Brahmin priest in Panadura being burnt to death in a bonfire and also about the infant thrown into a tar barrel. All these tales made an indelible impression. Being a native of Valvettithurai was another factor in making a militant out of Prabhakaran. VVT had acquired a reputation for smuggling and had a sub-culture of its own. “Operation Monty” was launched in the north by the armed forces in post-independence Sri Lanka to check and counter illicit immigration and smuggling.This necessitated the setting up of security camps in VVT from the early fifties of the last century. There was much friction as a result of this hostile, “alien” presence.This in turn led to a confrontational mood prevailing between the people and armed forces long before the political crisis escalated in the seventies.It was in this environment that Prabhakaran and a host of other VVT youth grew up. As Prabhakaran’s fellow denizens from VVT ,Sathasivampillai Krishnakumar alias Kittu and Gopalaswamy Mahendrarajah alias Mahathaya explained to me on different occasions, many youths of their generation grew up in VVT with anger and resentment towards the armed forces and by extension the government in Colombo which was held responsible. Prabhakaran growing up in this atmosphere got politically motivated in the late sixties and early seventies of the previous century. This was when former Kayts MP. V. Navaratnam broke away from the Ilankai Thamil Arasu Katchi (ITAK) known as Federal Party (FP) in English. Navaratnam once described as the “golden brain” of the FP formed the “Thamilar Suyaatchi Kazhagham” or Tamil Self-Rule party in 1968. Navaratnam abandoned the federal demand as being too little and too late and instead opted for “Suyaatchi” or “self-rule” a euphemism of sorts for a separate state.There was a pedagogue named Venugopal master for whom Prabhakaran had great regard and respect. Venugopal master became an active supporter of Navaratnam. Several students including Prabhakaran became his followers and turned into ardent devotees of Tamil self-rule. The Suyaatchi Kazhagham also started a newspaper “Viduthalai” (Liberation/Freedom). Navaratnam himself transliterated and serialized “Exodus” the famous novel written by Leon Uris. It was named “Namakkendroru Naadu” (A Country of our own) Young Prabhakaran eagerly devoured it and got hooked on the dream of a country for Tamils.The Tamil self-rule party was defeated in the 1970 polls. No candidate including Navaratnam won. But the seeds of self-rule sowed in the campaign had taken firm root in the heart and mind of “Thamby” Prabhakaran. With the introduction of standardization in 1970 the student population of Jaffna began getting radicalized. The Tamil Maanavar Peravai (Tamil students federation) and Tamil Ilaingar Peravai (Tamil youth federation) were formed. A series of meetings , processions and rallies were held.Prabhakaran himself began participating in some of these activities. His first experience of a protest demonstration was in 1971 when former Posts and Telecommunications minister Chelliah Kumarasuriar visited Velanai to open a new post office.Tamil youths staged a black flag demonstration. Prabhakaran also participated. Prabhakaran also attended most of the Tamil student and youth activist meetings. Soon “thamby” began losing interest in meetings and non-violent agitation.These were too tame for him. Greatly inspired by tales of Israel’s Hagannah and Irgun, Prabhakaran became firmly convinced that Sri Lankan state oppression could be resisted only through force.It was then that Prabhakaran wanted to buy a gun and practise shooting. There was a notorious “chandiyan” (thug) then in Point Pedro called Sambandan. He sold guns illegally. When Prabhakaran approached him for one, Sambandan priced an old pistol at 150 rupees.Prabhakaran and some like-minded youths pooled their resources and came up with the princely sum of 40 rupees. Undeterred Prabhakaran sold his gold ring to augment finances. This had been given him by his elder brother in law.As was the custom the younger brother of the bride, Prabhakaran ,poured water on the bridegroom’s feet when he entered the bride’s house and got rewarded with a gold ring. This was how Prabhakaran acquired his first firearm.Prabhakaran began training clandestinely. A retired soldier helped him. By now the youth was beginning to attract the attention of the Police. When the police started making inquiries about a certain youth called “mani” Prabha knew that the cops were closing in on him.He left home one day to embark on his avowed vocation. Anticipating future problems Prabhakaran removed and destroyed every single photograph in the house with his picture.When the Police raided his VVT home, they could not get a proper picture of him and had to use only the postal identity card used by Prabhakaran to sit for examinations.In 1982 May, Prabhakaran alias Karikalan and Sivakumar alias Raghavan of the LTTE had a shoot-out with Umamaheswaran alias Muhunthan and Jotheeswaran alias Kannan of the PLOTE at Pondy Bazaar in Chennai. Prabhakaran was arrested and photographed and it was only then that Colombo got an up to date photo of him. Prabhakaran teamed up with some others and formed the Tamil New Tigers. Apparently some of the old timers like Rajaratnam of Nunaavil had formed a Tiger group to fight for Tamil rights in the early sixties. This never got off the ground.Prabhakaran had begun interacting with Rajaratnam -who had moved to Tamil Nadu – and felt the new movement should be a “revival” of sorts. Hence Tamil new tigers (TNT). The acronym TNT was also applicable for the explosive compound “Trinitrotoluene”. The TNT was originally led by Thanabalasingham alias Chetty of Kalviyankaadu. When the Police cracked down and began arresting prominent youth activists, Prabhakaran gave the slip and crossed over by sea to Tamil Nadu. He was to shuttle back and forth frequently in the seventies.Prabhakaran was never arrested.Several other youth groups also emerged and engaged in acts of violence. The TNT made its mark in July 1975 with the assassination of former Jaffna MP and Mayor Alfred Durayappah as he was going to worship at the Ponnaalai Varatharajapperumaal (Vishnu) temple. Four youths including Prabhakaran were involved in the murder. Later Prabhakaran went on record stating that this killing was his “first military action”. The TNT metamorphosed into the Liberation Tigers of Tamil Eelam (LTTE) on May 5th 1976. The Tamil United Front (TUF) held its famous Vaddukkoddai Convention nine days later on May 14th 1976. It was then that the TUF became TULF (Tamil United Liberation Front) and adopted the Tamil Eelam demand formally. The TULF contested on the separatist platform in July 1977. It won 18 of 19 Tamil seats in the North-East and claimed it had a mandate for Tamil Eelam. Years later the LTTE was to say it was acting in terms of the TULF mandate. When Prabhakaran was in the JSC (Grade eight) class one of his textbooks was “Thirumavalavan”. This was about the Chola emperor Karikalan under whose rule the “Pulikkodi” (tiger flag) had supposedly fluttered proudly from “Imayam muthal Kumari varai” (Himalayas to Cape Comorin) . Thus Prabhakaran was fascinated by Karikalan and the tiger flag.“Puli” in Tamil denotes the tiger but the tiger on the Chola flag was the “Vengai” or cheetah. It is a far cry from the Bengal tiger on the LTTE flag now. In any case there are no tigers in Sri Lanka. We have only the leopard here. But then we have no lions either but our national flag has one. In a sense the rifle-crossed tiger flag was a direct response to the sword-bearing lion flag. Prabhakaran known as Mani and Maniam earlier soon took the nom de guerre Karikalan . When arrested in Pondy bazaar it was that name which is on police records. Later Prabhakaran’s wireless codename was HA or Hotel Alpha. This was derived from Karikalan where Kari became Hari and then HA.The Chola emperor got the name Karikalan because he was caught in a fire as a boy and had his legs burnt. Karikalan means “Person with dark or black legs”. Prabhakaran too had a similar experience while experimenting with explosives. There was an explosion and his legs were burnt. The skin was dark for years. Thus “Karikalan” suited him appropriately.When Prabhakaran died he was identified by former LTTE spokesperson Daya Master by these dark scars. When the LTTE was formed in 1976 Prabhakaran was only its military commander. The leader and chairman of the five-member central committee of the LTTE was Umamaheswaran. Praba was also a CC member.The LTTE fragmented in 1980 and Umamaheswaran formed the PLOTE. The LTTE under Prabhakaran had a working relationship with the TELO led by Thangathurai and Kuttimani. In 1981 the LTTE re-grouped under the absolute leadership of Prabhakaran. Thereafter it was a virtual one-man dictatorship. There was a time when Prabhakaran wedded himself to the Tamil Eelam cause ,vowing to be celibate till a separate state was achieved.Despite these lofty ideals, “Manmathan” or cupid struck Prabhakaran with his five-flowered arrows in 1983-84.Some displaced undergraduates were on a death fast at the Jaffna university premises in 1983 September. When the condition of some girls deteriorated the LTTE broke the fast and abducted those fasting. They were brought to Tamil Nadu.At one stage four of the abducted girls stayed at the residence of Anton and Adele Balasingham and used to accompany them to the LTTE office in Indranagar. The fairest and prettiest of them all was Madhivadhani Erambu. Her father Erambu was a schoolmaster from Pungudutheevu in Jaffna. During the Indian “Holi” festival people spray coloured powder and coloured water on each other. Madhivadhani held a bet with her friends and boldly drenched Prabhakaran with turmeric dissolved water. Praba was furious and berated her. Madhi started weeping. Hours later when the tiger supremo was leaving the office , he found her in a corner sobbing.He went up to her and spoke softly asking her not to cry. Madhivathani looked up at him with tear-filled eyes. Praba’s heart was pierced. 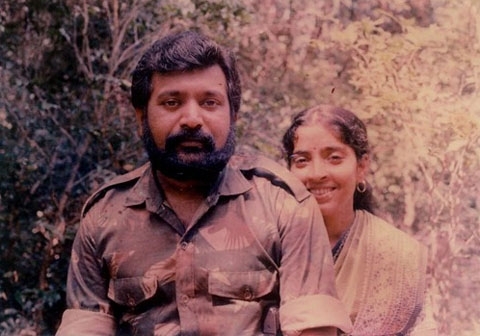 The tough Tiger Supremo was smitten by the doe-eyed beauty whose name Madhivadhani means “moonlikeface” Thereafter Prabhakaran began visiting the Balasingham’s frequently. He brought flowers and sweets for Madhi. Prabhakaran had been a shy, introverted person and had never mingled with girls outside his family before. This was a new experience. Anton Balasingham encouraged the romance. They married in 1984. There was a hitch. The LTTE code of conduct tabooed marriage. So the top commanders were summoned to Tamil Nadu and a Central committee meeting convened.There a new regulation was introduced enabling those with five years experience to marry. The Madhi-Praba marriage took place in a temple with senior tiger commanders including Selvarasa Pathmanathan alias KP in attendance as “Maappillai Thozhan”or Best Man. Prabhakaran and Madhivadhani had three children. The eldest was named Charles Anthony born in 1985. He was named after Praba’s best friend and military commander Charles Anthony alias Seelan who died in Meesalai, Chavakachcheri. The next was Duvaraga the daughter born in 1986. She was named after a favourite bodyguard Mayooran whose real name was Duvaaragan. The third was a son born in 1997. He was named Balachandran after Madhivathani’s own brother who also joined the LTTE and died in combat.Prabhakaran and family members were killed during the final phase of the war in May 2009.The demise of Prabhakaran along with family members and senior commanders marked the end of an eventful chapter in the long drawn out struggle of the Tamil people to achieve equal rights in the Island of Sri Lanka. “19th May 2009 was indeed an unforgettable day for all Sri Lankans. The President officially declared the liberation of the motherland from clutches of terrorism. Addressing parliament, he said that from that day onwards the laws made in the democratically elected parliament would govern the whole country. The country was jubilant and celebrations were on. Meanwhile, the day was still busy for the soldiers. The battlefield commanders were yet to get the ultimate catch of the trap they laid. Major General Kamal Gunarathne, Colonel G.V. Ravipriya and Lieutenant Colonel Lalantha Gamage were preparing to launch the final phase of the master plan, the clearing of the last remaining patch of mangroves that lies south of the causeway. Lieutenant Colonel Gamage was confident; it was just the previous night that he swore to his fellow officers that it was his troops that would catch “Prabha” at the end. Those who planned the battle knew that the 681 Brigade Commander was not talking nonsense. Prabhakaran had nowhere to go than hiding in the mangroves behind the 4 Vijayaba Infantry [4 VIR] frontline. The commandos already cleared a large part of the mangroves on the previous day evening. The second clearing operation was launched in the remaining part of the mangroves by both commandos and 4 VIR troops around 8.30 AM on the 19th morning. Lieutenant Colonel Lalantha Gamage, and Lieutenant Colonel Rohitha Aluwihare, Commanding Officer of the 4 VIR were on the frontline expecting good news. Two eight man teams and one four man team of 4 VIR Bravo company were in the mangroves. The first team into the mangroves, led by Sergeant SP Wijesinghe, encountered heavy small arms fire as they stepped few metres in the growth. The soldiers had to wade through thorny bushes with water up to their chest. Sergeant Wijesinghe was quick to feel the presence of a high profile LTTE leader in the area from the resistance he had got. The team charged into the mangroves despite all difficulties and managed to collect five bodies carrying pistols and small arms that were usually carried by VIP escorts. The Brigade Commander and the Commanding Officer were soon informed. One of the bodies was identified as of Vinodan, one of the most senior bodyguards of the inner protection team of the LTTE leader. “Within seconds we knew the importance of the finding”, Lieutenant Colonel Lalantha Gamage said. “The matter was informed to the GOC and under his guidance, the first team was ordered to hold the line and another eight man team and a four man team from the flank were sent to support them” . The second team was lead by Sergeant TM Muthubanda. After an hour of a heavy fire fight in the mangroves the guns suddenly fell silent. A message came from the team leaders that there was a body bearing similar appearance to Prabhakaran among 18 other dead LTTE cadres. Both Lieutenant Colonel Gamage and Lieutenant Colonel Aluwihare rushed into the mangroves and found that the villain who haunted the nation for 30 years was no more”. « Maithripala Sirisena was Falsely Implicated as having JVP Links and was Imprisoned for 18 Months.